I’ve lived in five states, but Colorado is my favorite by far. With amazing weather and more than 300 days of sunshine per year (more than Hawaii gets! ), the state offers limitless adventures to be had. And, if you get tired of restraining your adventures within Colorado’s boundaries, the international airport offers a quick getaway. One of the best parts of Denver is how the city has embraced open space filled with trees, grass, coyotes into its city planning. Green areas break open neighborhoods. Just minutes away, mountains beckon for relaxing hikes through pine-scented air. Hike up an easy 3 mile hike to the quartz cornerstone of the would-be summer White House for U.S. presidents overlooking a jaw-dropping valley. Or tack on a few extra miles to see the fire-charred ruins of train tycoon, John Brisben Walker’s house, and squint over the plains where Denver’s skyscrapers glisten in the sunlight. Just 30 minutes west of Denver, you’ll feel like you’re miles away from the hustle and bustle. In the mood for a 4 mile hike with barely no altitude gains that ends in a grave? Check out this trail in Lookout Mountain to see Buffalo Bill’s grave (and museum). You’ll get scenic views over valleys studded with pines and topped by mountains. Only 45 minutes west of Denver. 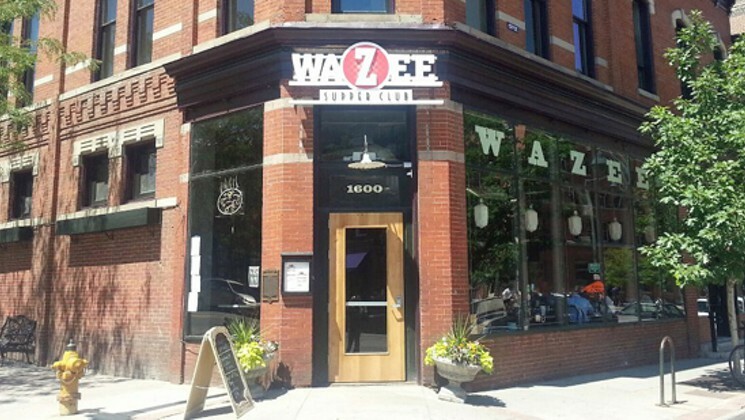 What are two great day trips from Denver? 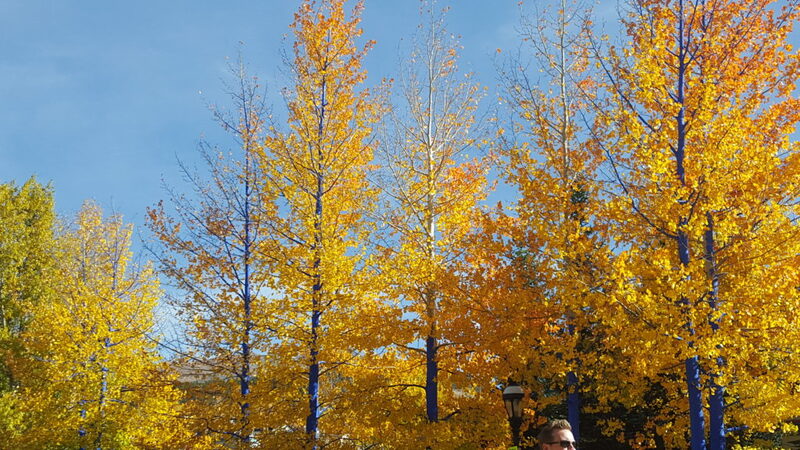 Hit the road for a quick 1.5 hour road trip from Denver and check out this ski town in fall. Breckenridge is one of Colorado’s oldest and largest town that began life as a mining town. Now charming shops line the main street. Ride a gondola up the barren ski hills. Or get out of town and wander through an avenue of golden trees, dazzling your eyes before their leaves fall to darken on the ground. If you want a spectacular display of golden aspen trees in fall, Boreas Pass Road is your paradise. Just an 90 minutes north of Denver is Fort Collins: a university town nestled next to a reservoir and within eyesight of craggy mountains. Check out Old Town Fort Collins with its bricked buildings and ghost stories. While you’re in town, visit New Belgium Brewing, one of Colorado’s most famous breweries. Make sure to get a reservation for this brewery is super popular. Watch as hundreds of sand hill cranes gather just outside of Colorado’s famous sand dunes. Every September, the cranes stopover in Steamboat Springs to their wintering grounds in New Mexico and Arizona. Sip craft beer in one of the most gorgeous mountain destinations surrounded by mountains, listening to good blues music. This year’s lineup includes Gary Clark Jr., Joe Walsh and Jason Isbell and many others. 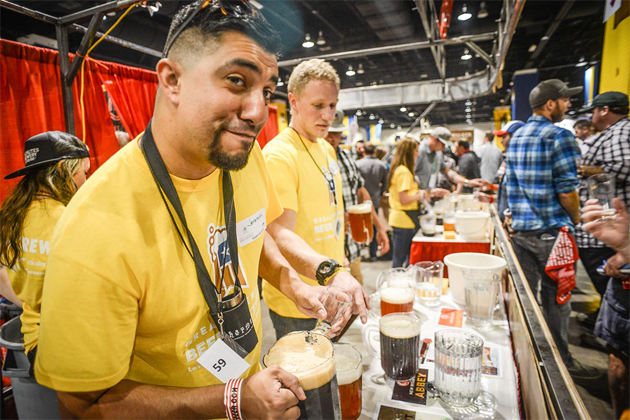 Discover great craft beers from around the nation, including many of the finest of Colorado’s burgeoning craft beer phenomenon like Fiction Beer Company and Roaring Fork Beer Company. White-topped mountains plus sandy dunes resembling those of Arabian Nights is Sand Dunes National Park. 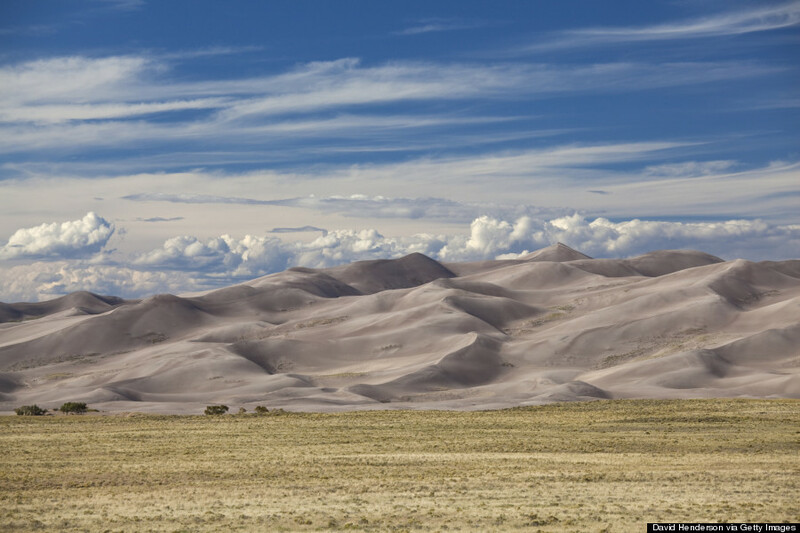 These sand dunes are the tallest in North America. Thanks to a fast-flowing creek, you can play in the waves and sand with mountains at your back. Or surf down the sand dunes in your shorts and tee shirt. Those postcard photos of lush green hills, deep valleys, and snow-capped mountains? That’s Rocky Mountain National Park. 90 minutes northwest of downtown Denver, this 250,000+ acre national park is a must-see. Like my cousin, you may even see elk running across your camera’s viewfinder.